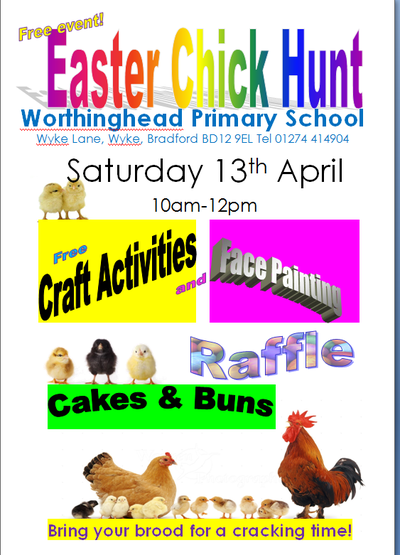 Everyone is welcome to come and enjoy our free fun event on Saturday 13th April at 10am-12pm. Can you find all 22 fun character chicks? There is a chocolate reward for everyone who completes the challenge. There will be free Easter crafts & activities to enjoy. Treat yourself to something delicious from the cake stall and try your luck on the raffle.